Brick technology here answer some common questions that are asked when thinking about how the new ranking signal will affect your business. 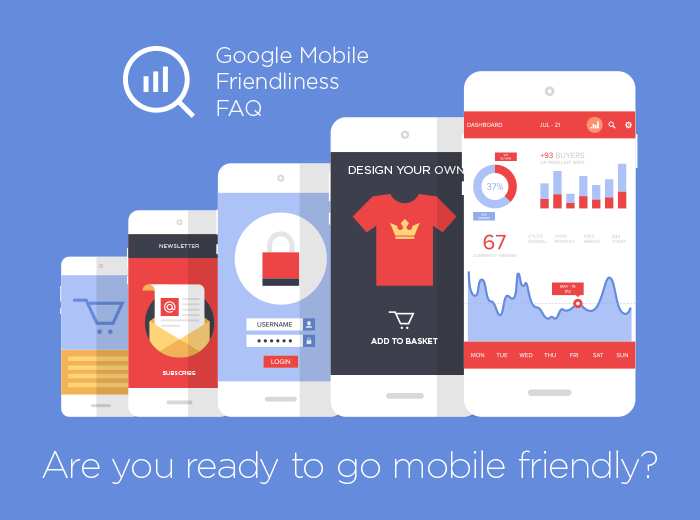 From April 21st 2015, Google has said it will begin “expanding (our) use of mobile-friendliness as a ranking signal.. in all languages worldwide”, mentioning that this was expected to have “a significant impact” on search results. What exactly is meant by ‘mobile-friendly’? A website that is designed to work optimally on a smartphone. These devices are around 1/5th the size of a desktop screen and so require more accurate design to facilitate navigation while the need for information rapidly is met by minimised loading times. They fit more naturally and intuitively onto the screen and can be easily navigated with the fingers as opposed to a mouse. Don’t think of the mobile website as simply a desktop site squashed onto a small screen - everything has to be designed to work optimally for a different process of operation. Choose an expert web development team, such as our own here at Brick technology Lancashire web design to convert your site. Mobile-friendliness is automatically built into all of our new websites and upgrading begins with a simple phone call. What will happen if my website is not ready for the change? This will mean lower rankings and less traffic. Smartphones are now ubiquitous and the only advice we can give is that you must consider the needs of your customers - websites that are not mobile-friendly will alienate an ever-growing number of your clientele. Google have simply recognised and responded to changing consumer preferences, stating that: “94% of people with smartphones search for local information on their phone.. 77% of mobile searches occur at home or at work, places where desktop computers are likely to be present." Find out all you need to know about mobile-friendliness by contacting Brick technology Web Design Lancashire.